How is The No-No List Different From Other Dating Books? In this insightful book, Venus turns the dating game on its head and offers a radical new approach to the search for a perfect partner. 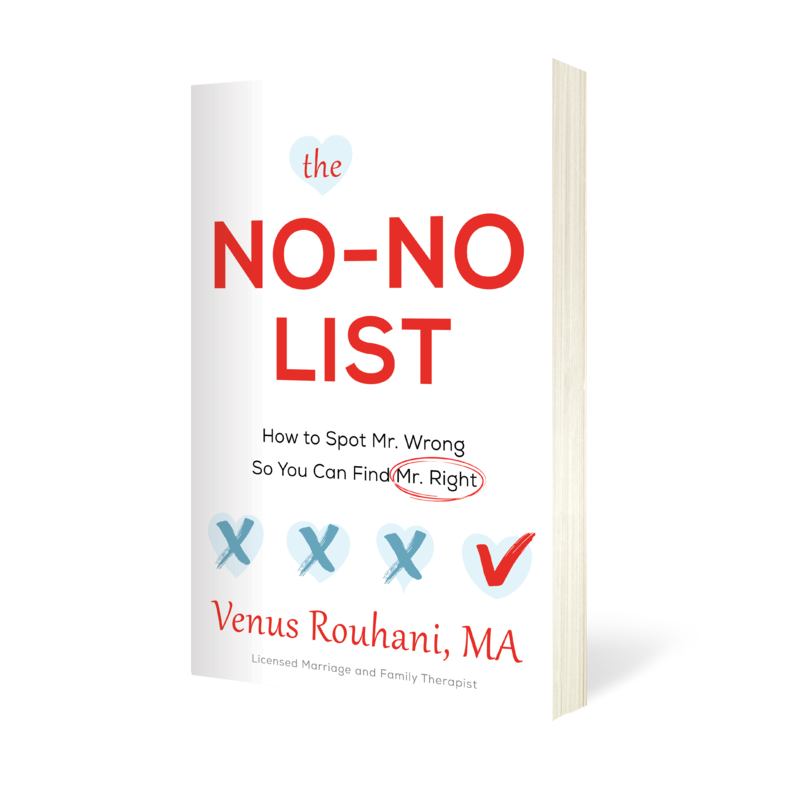 Included are a list of the most common No-Nos as well as charts to help you make your own list and find everlasting love. Backed by scientific expertise and a lifetime of personal experience, Venus’s game-changing insights allow you to understand the profound connection between failed relationships and the hidden trigger points for pain and disappointment. Whether you’re dating, married, or somewhere in between, Venus will equip you with a strong understanding of what you don’t want in a relationship, while showing you how to spot the hidden deal breakers and use a red flag road map to guide you toward relationship success.